Lots of new footage and images. 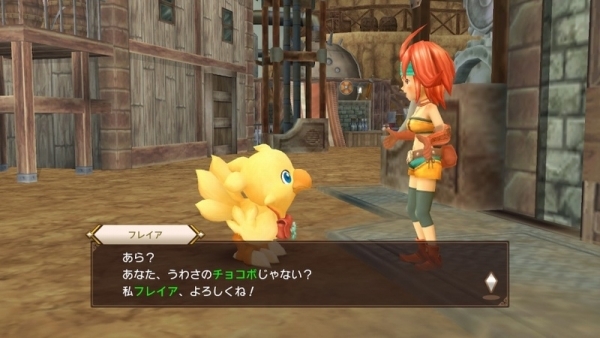 Several YouTube channels have gone up with new gameplay videos of Chocobo’s Mystery Dungeon: Every Buddy!, and several Japanese publications such as 4Gamer.net, Gamer.ne.jp, and GAME Watch have published previews containing a plethora of new screenshots. A new installment of the ever-popular series is here! The classic Final Fantasy Fables: Chocobo’s Dungeon is back with an enhanced gameplay system – to be enjoyed by both first-timers and fans of the series! Explore the challenges of the never-ending dungeons (“Insatiable Hunger”), befriend monsters with the new buddy system. You adhere to one simple rule, … every time you enter, the world around you changes shape, but it only moves whenever Chocobo moves! Chocobo’s Mystery Dungeon: Every Buddy! is due out worldwide for PlayStation 4 and Switch on March 20.